…Especially when “someone else’s roots” involve something delicious and full of sugar and butter. 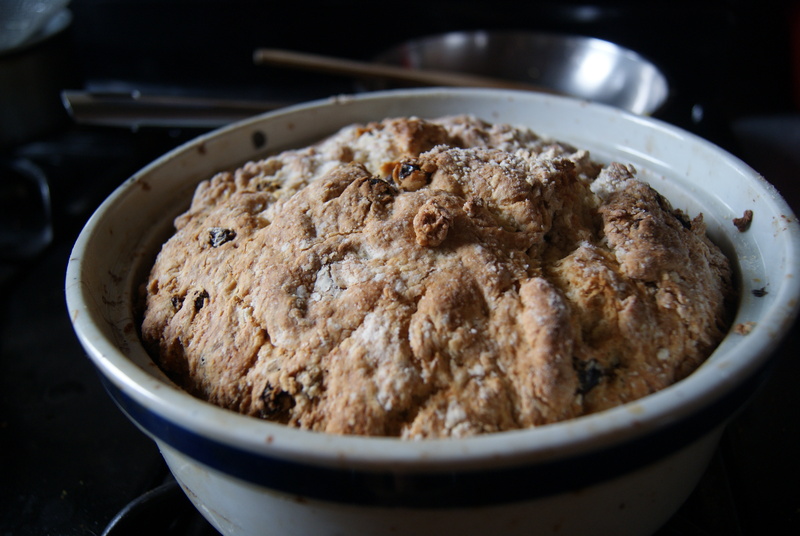 So yes, I decided to gift you all with a spur-of-the-moment post because I’ve been craving soda bread for an unbelievably long time. What’s “unbelievably long,” you ask? Oh, I’d say it’s been about ten days. Yep. I’m addicted. And what better time to share this addiction with all of you dear, sweet readers than St. Patrick’s Day? Now, let me just say this: I have no idea whether this is authentic or not. It tastes pretty damned authentic, but really, I know exactly nothing. Also, it is ridiculously easy to make (especially if you enjoy getting really messy and then cleaning up after your/my filthy self), so let’s quit the small talk and get to it! Whisk together the buttermilk and egg until blended, then stir buttermilk mixture into the rest of the ingredients. and mix just until all ingredients are incorporated. Do not overmix. 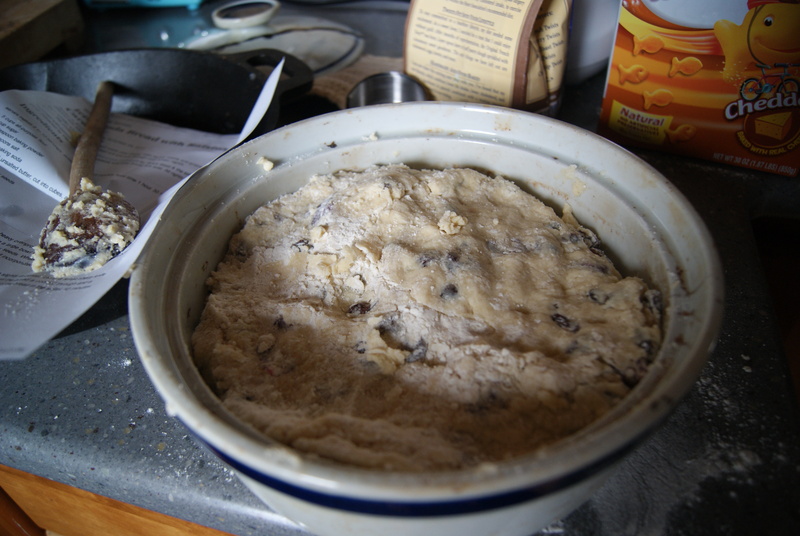 Now, working very carefully, transfer your now-definitely-sticky dough into the skillet or dutch oven you’re using. This will be a pain and will result in you shedding a tear for all of the flour you just probably lost to your floor. 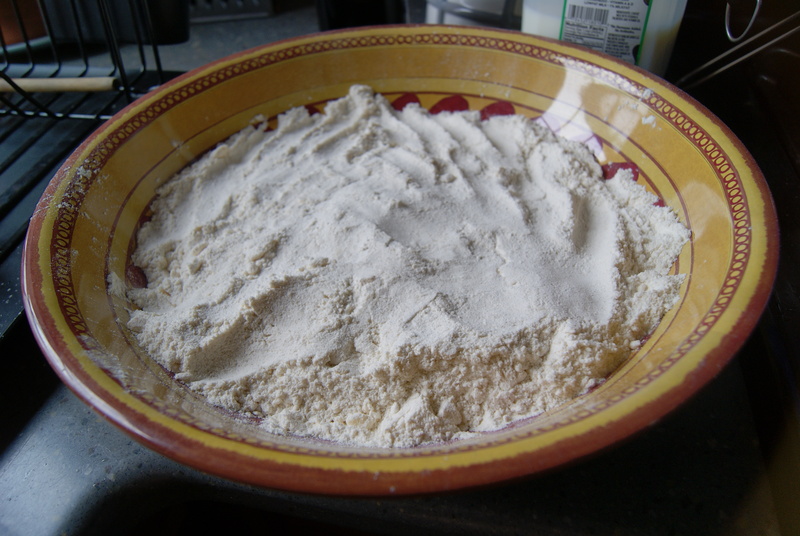 With a knife dipped in flour, trace a large X onto the top of the dough, then send this into the oven until the bread is cooked through, about 1 hour and 15 minutes. Let cool in the pan for about ten minutes, then transfer to a wire rack and let cool completely. Yes, those are Goldfish in the background. Don’t judge me. I can’t stop eating this. Seriously, there are crumbs in between the keys on my keyboard right now, because I’m a disgusting human being. Hopefully that is enough to convince you that you should spend a couple of hours making this. You’re welcome. ← Carrying On A Most Hated Tradition With A Slice Of Fancy Cake And…Uh…A Dream? That looks damn good. 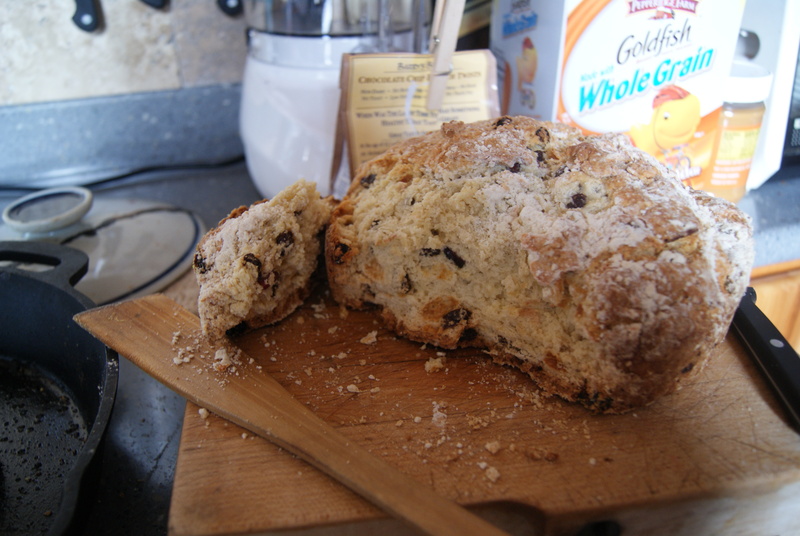 I love Irish soda bread too but the only one I’ve had lately is the one from the Stop & Shop bakery. That’s tasty but yours looks MUCH better. What’s next? Hot cross buns? One a penny two a penny…. Yes! Hot cross buns are a great idea! THIS I need to hear!